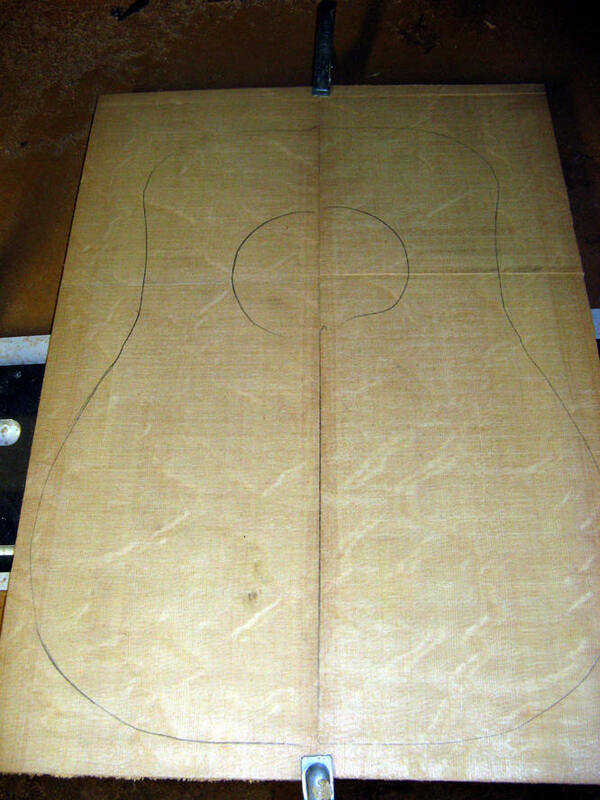 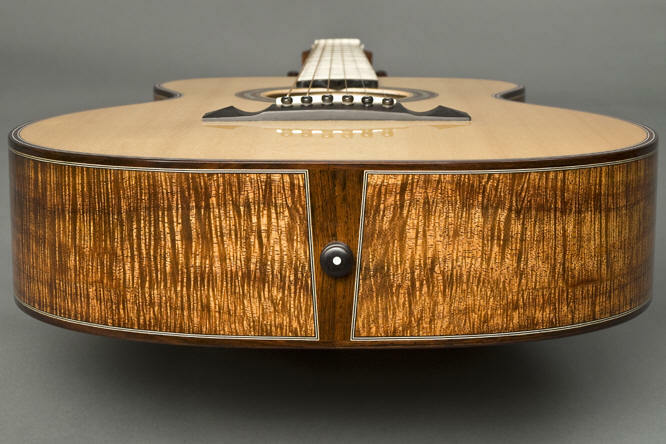 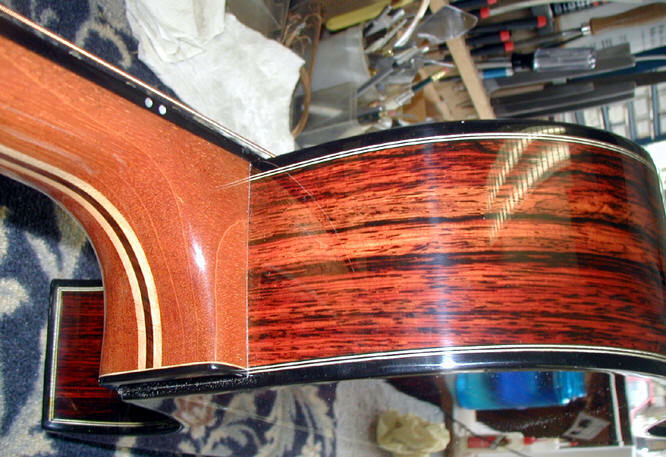 From time to time a customer wanting to order a guitar can't get into the shop to participate in the choice of woods in their guitar. 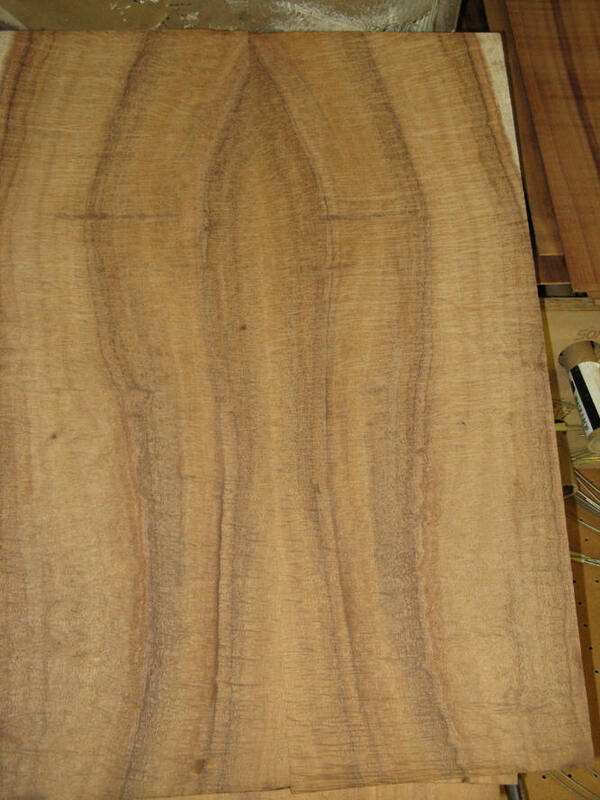 I will use this page to demo various pieces of wood to assist in that choice. 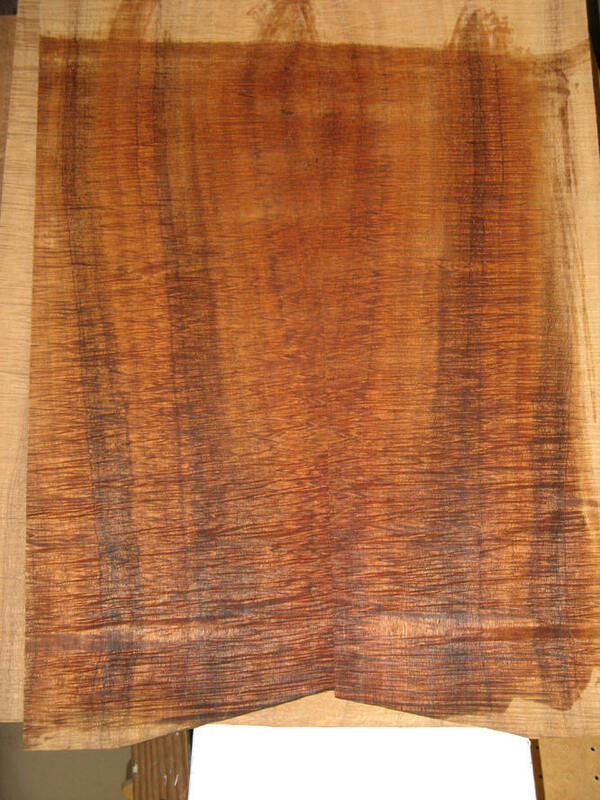 I have quite a lot of koa in my "stash." 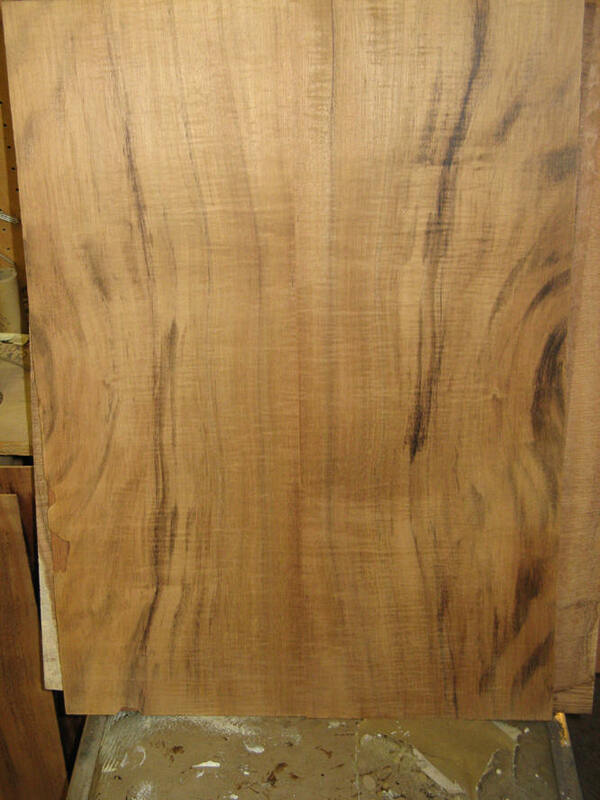 As can be seen from these photos, it ranges from outrageously curly and wild to fairly sedate. 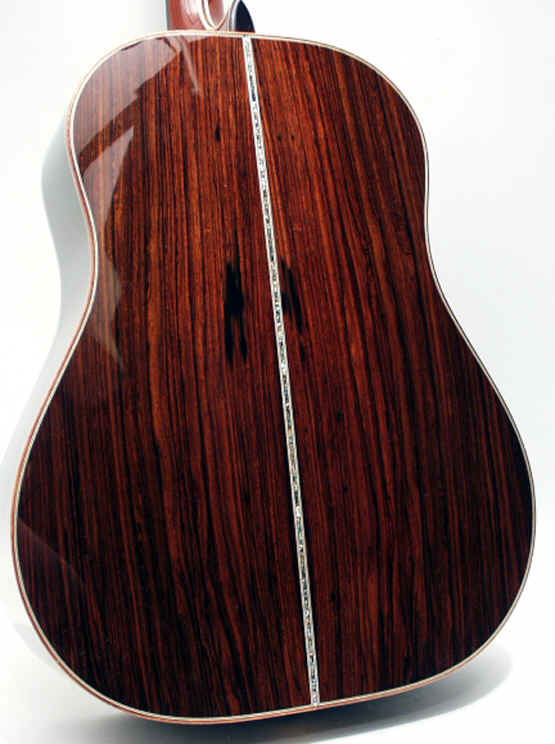 The amount of figure has no apparent impact on the sound, but does affect the cost. 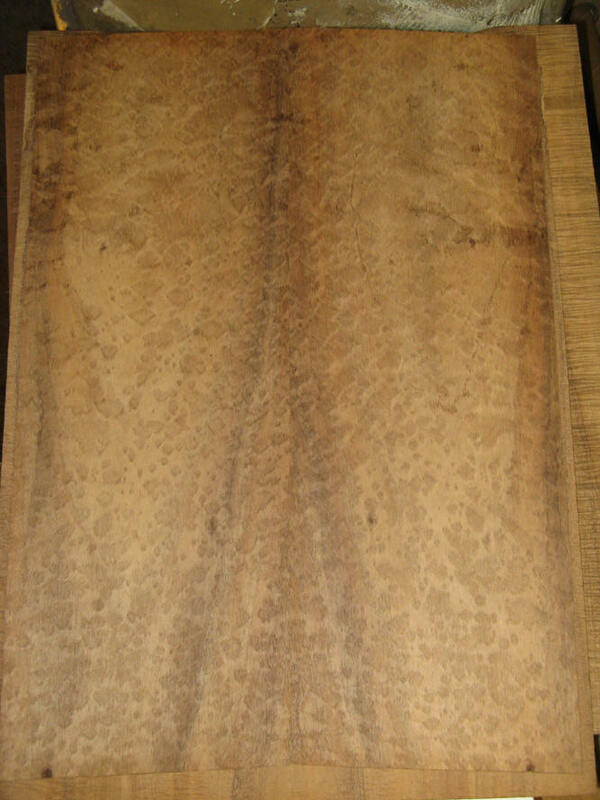 A word about the photos - all of which are thumbnails. 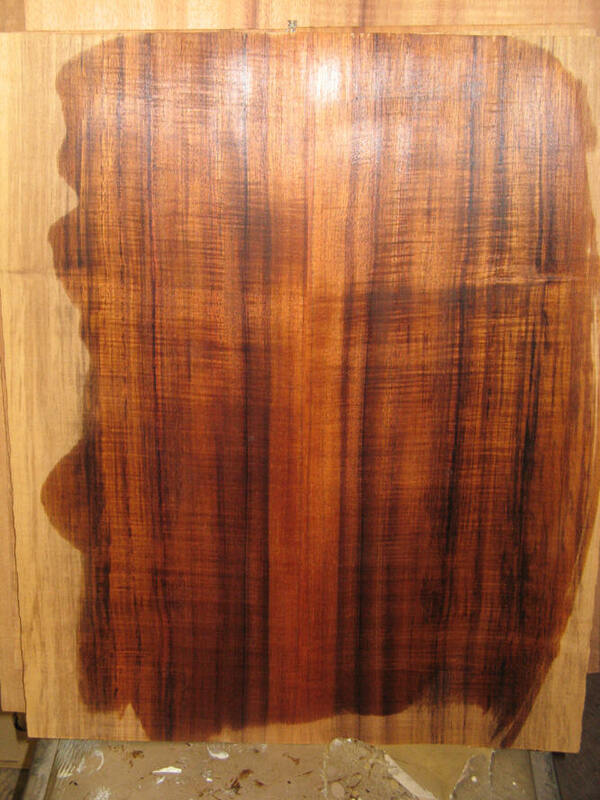 Click on the image to see the larger version of the image. 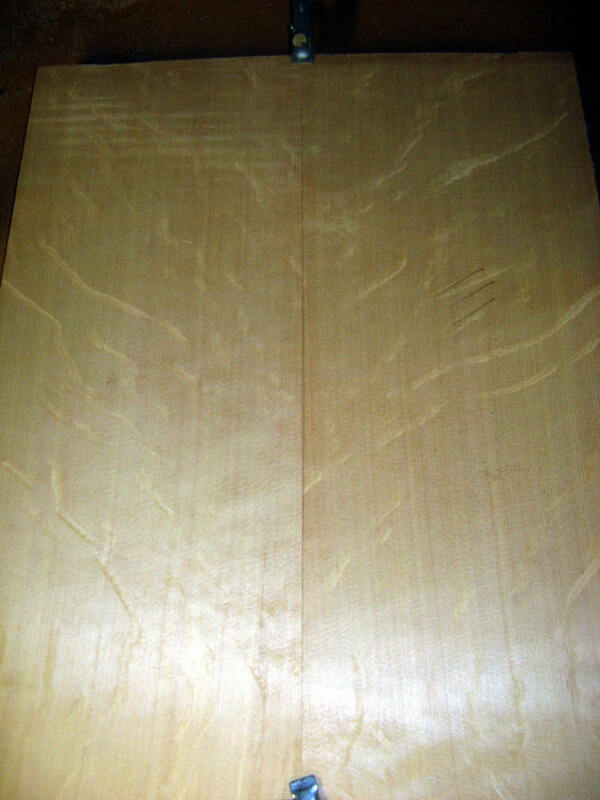 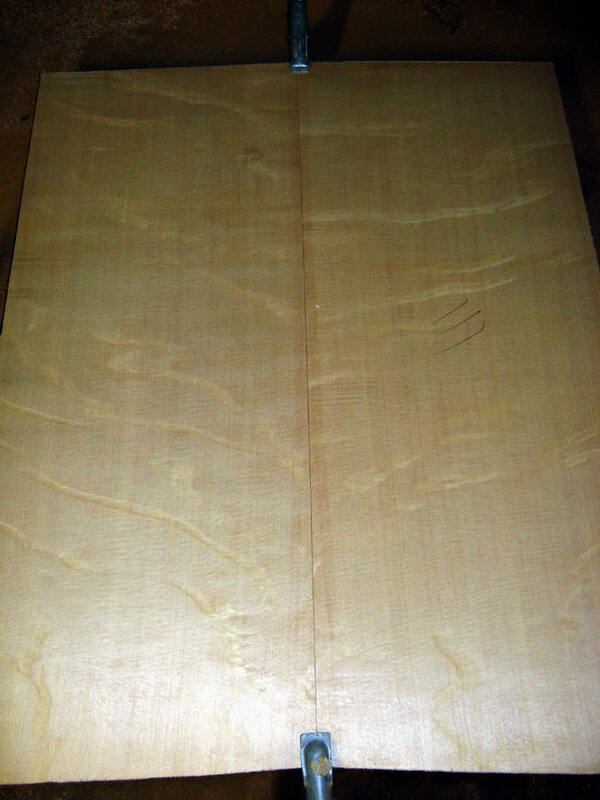 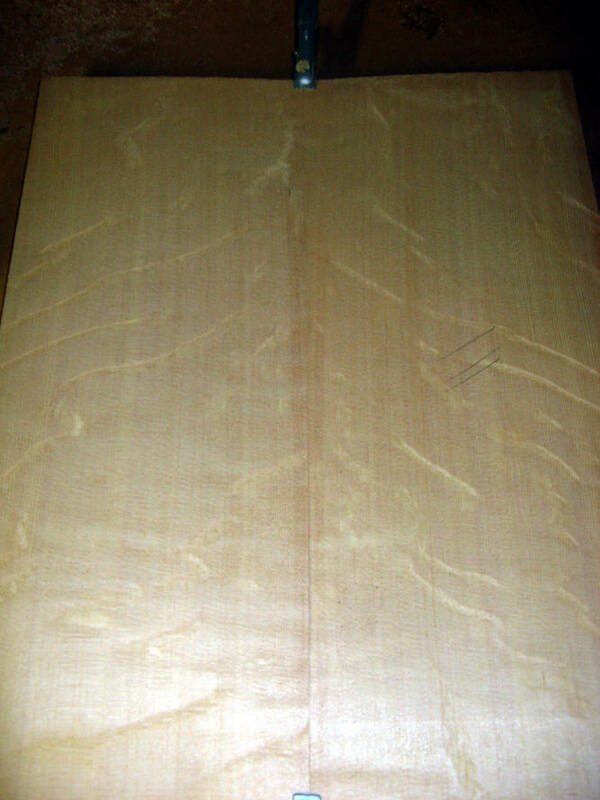 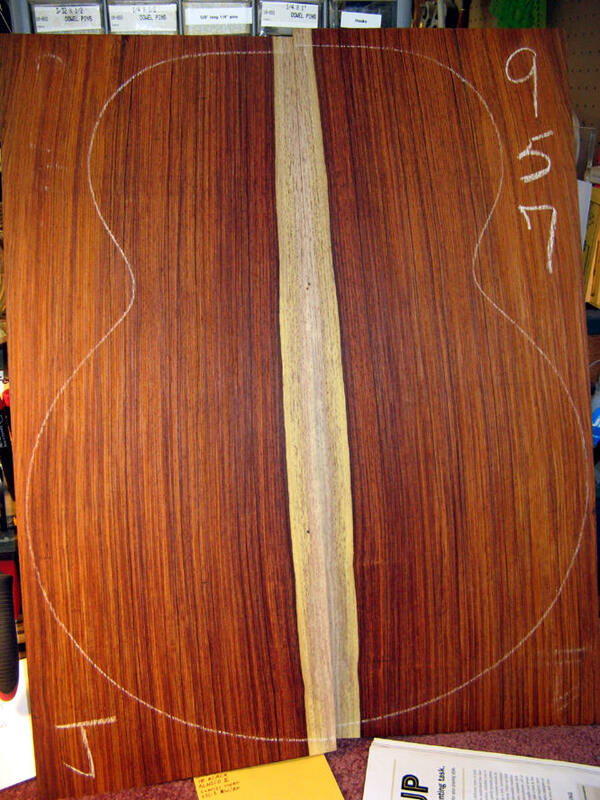 Raw unfinished koa doesn't look quite like the wood under finish. 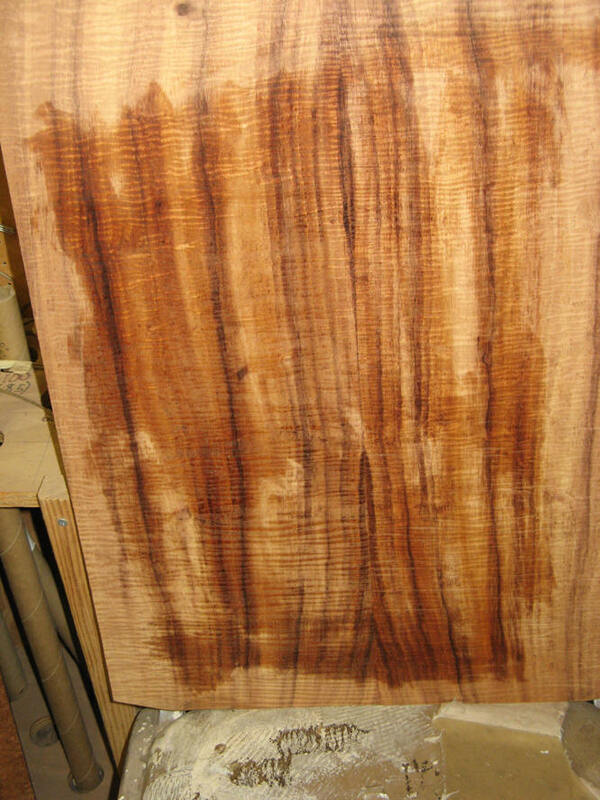 I have dampened the surface of each piece with naphtha to more closely replicate the look under finish. 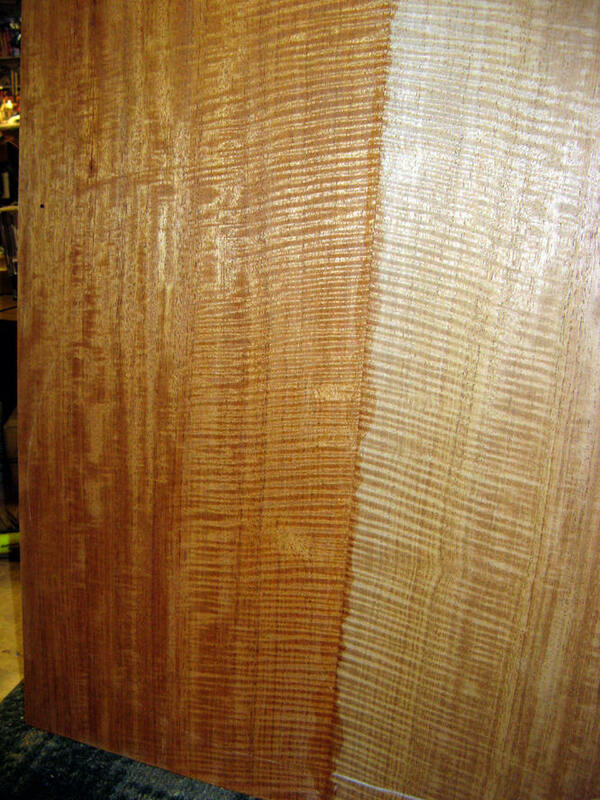 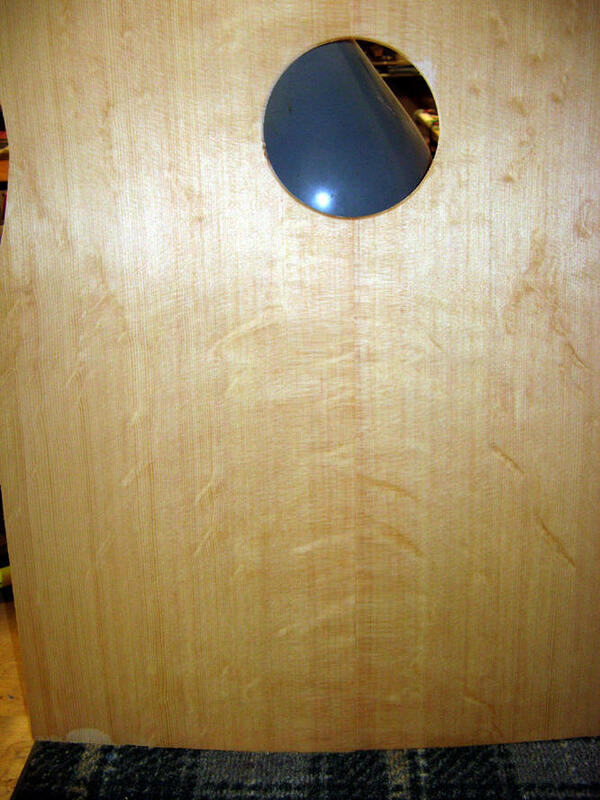 (for a few, I show them plain) This does mean some pieces look a bit blotchy - but they will not under real finish. 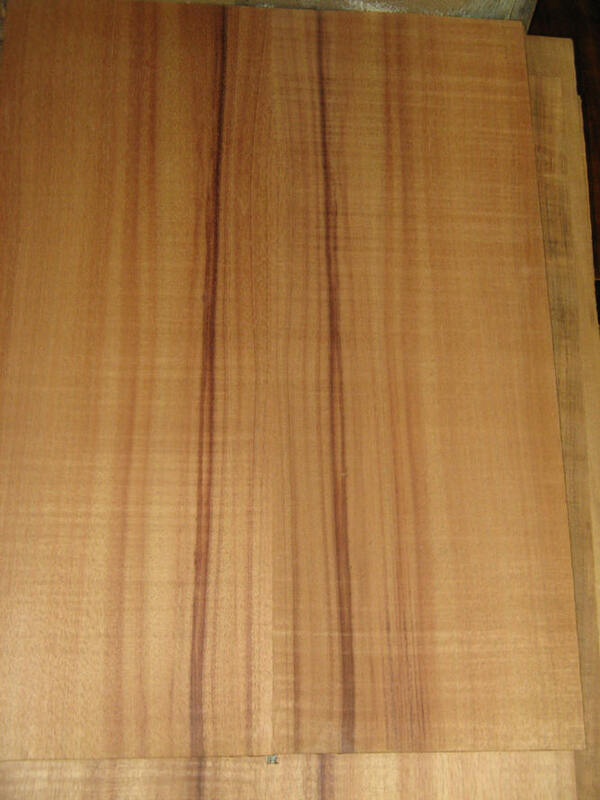 The shiny appearance of some of these images is from the flash on my camera. 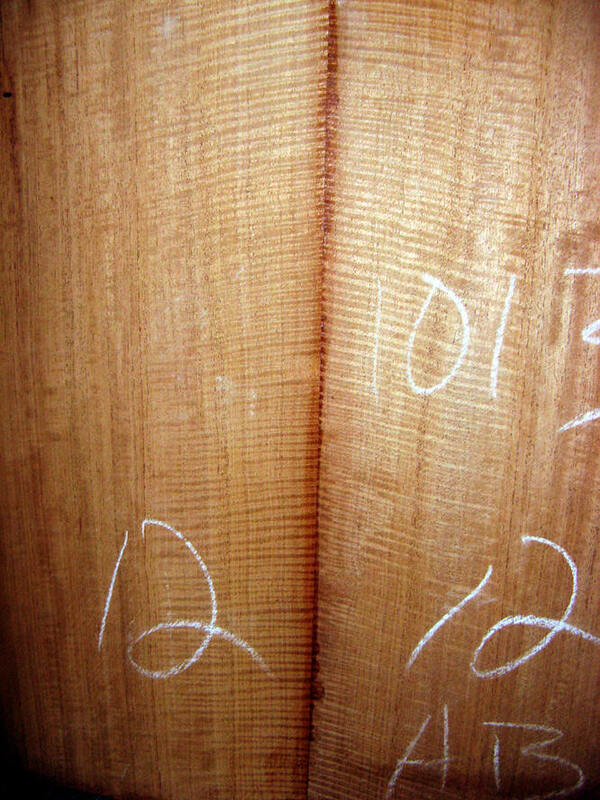 Other woods to follow. 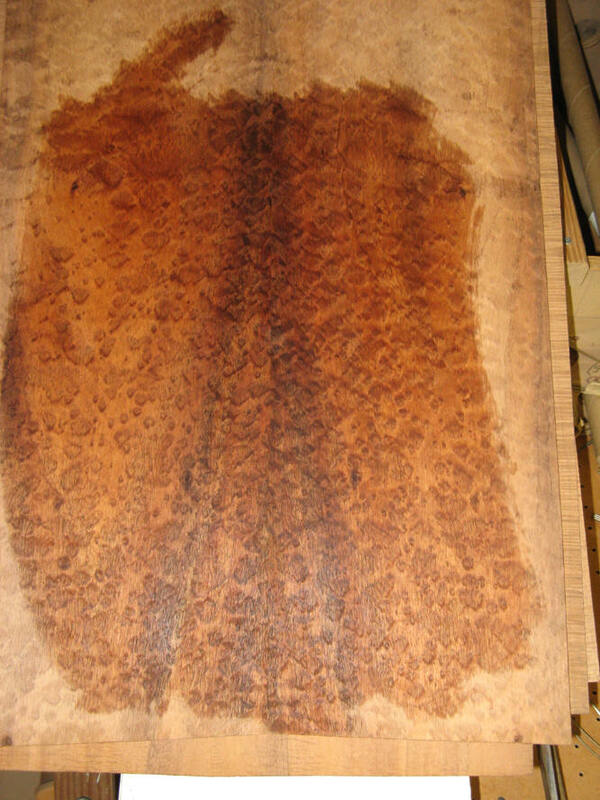 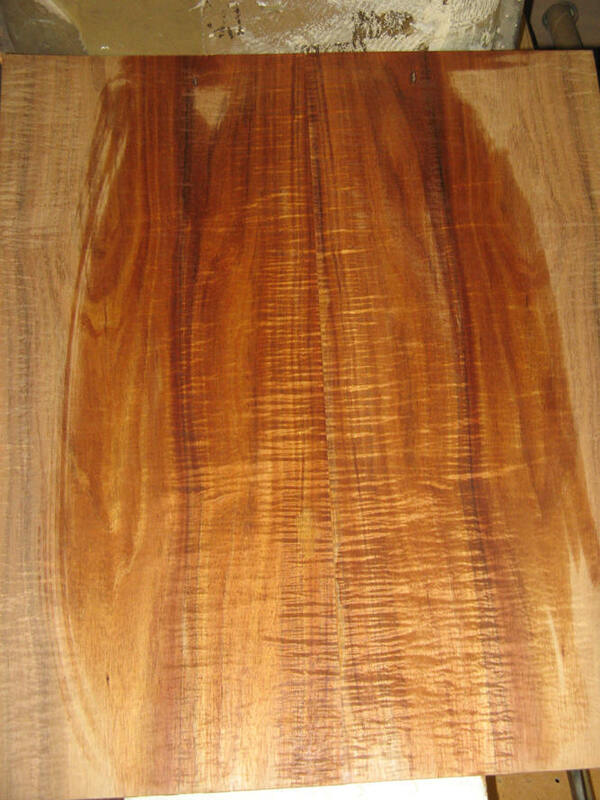 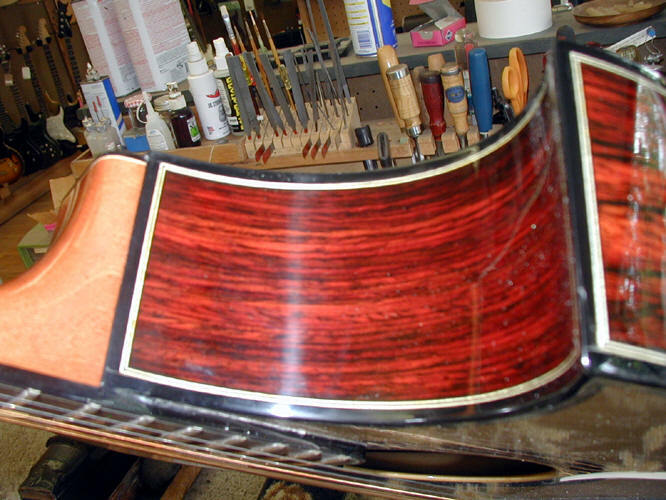 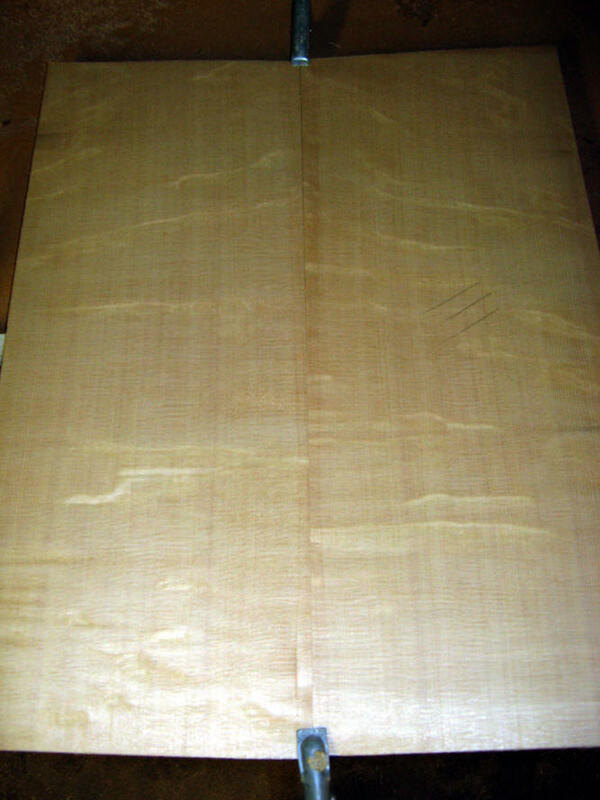 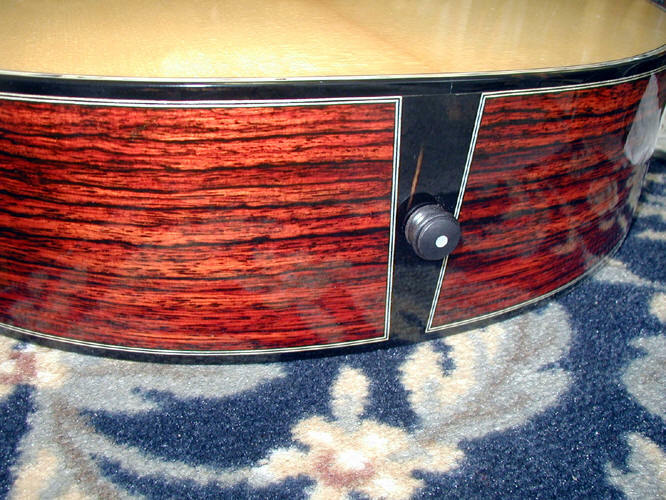 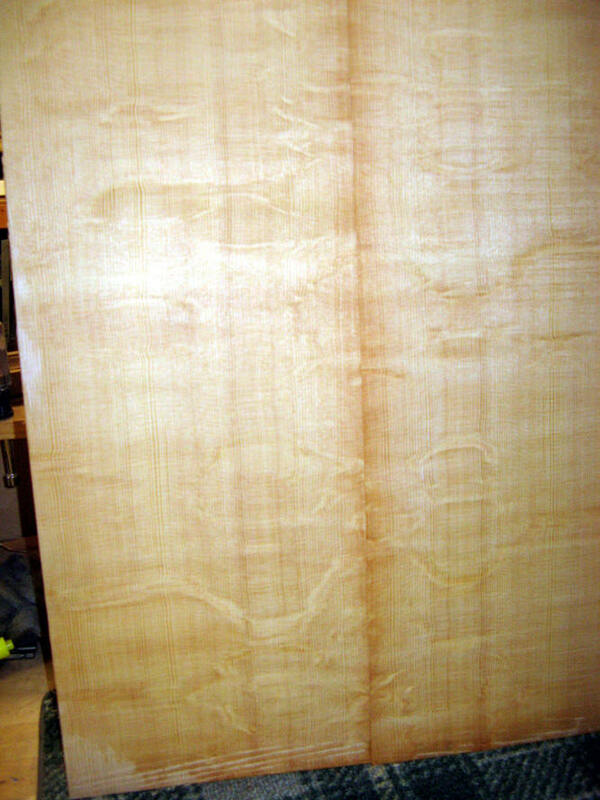 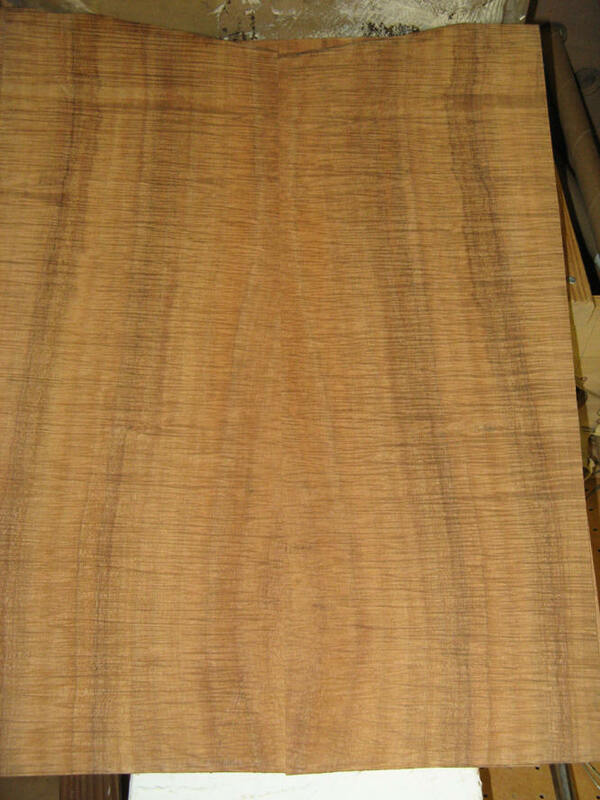 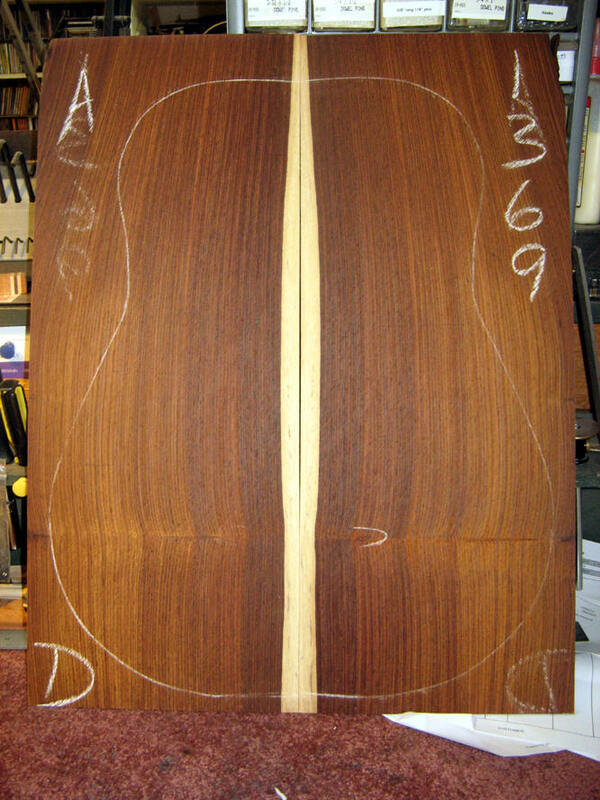 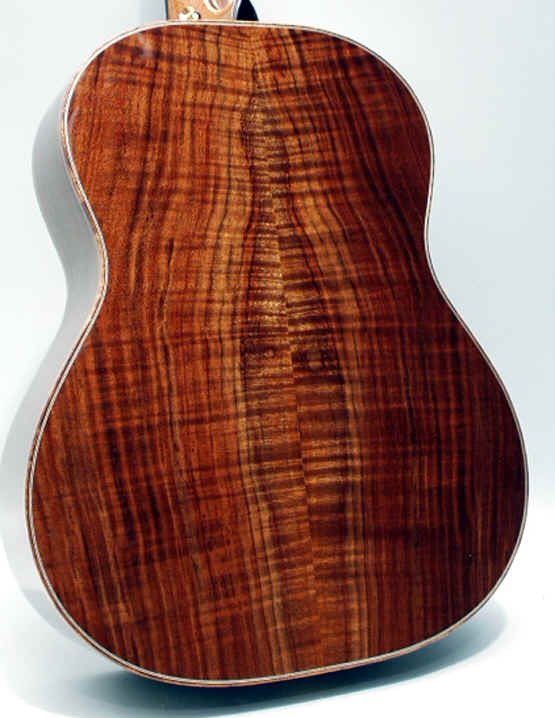 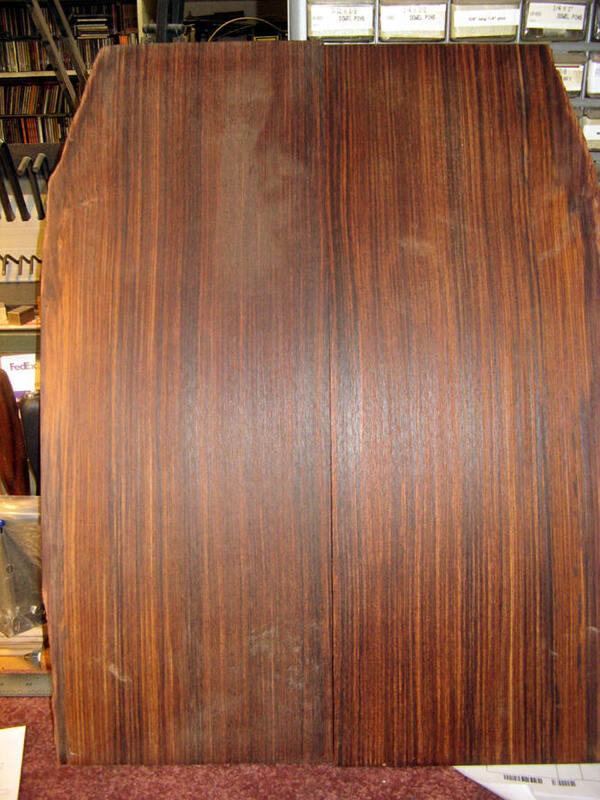 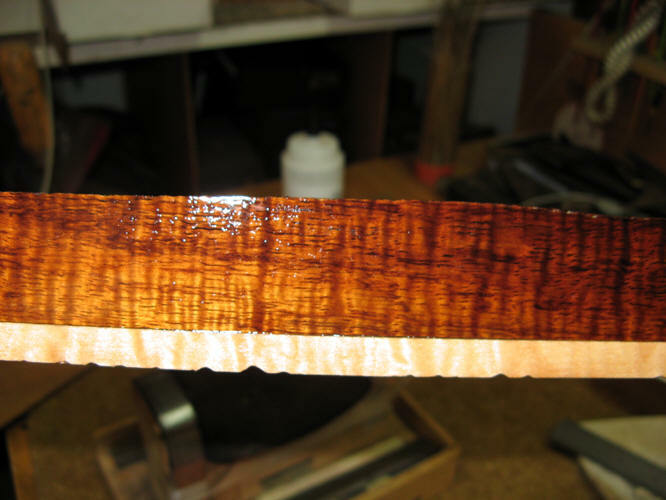 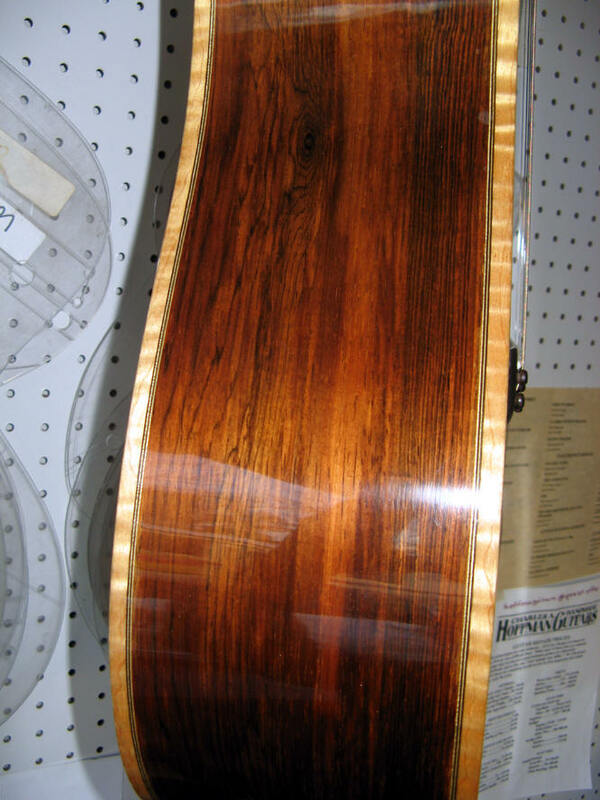 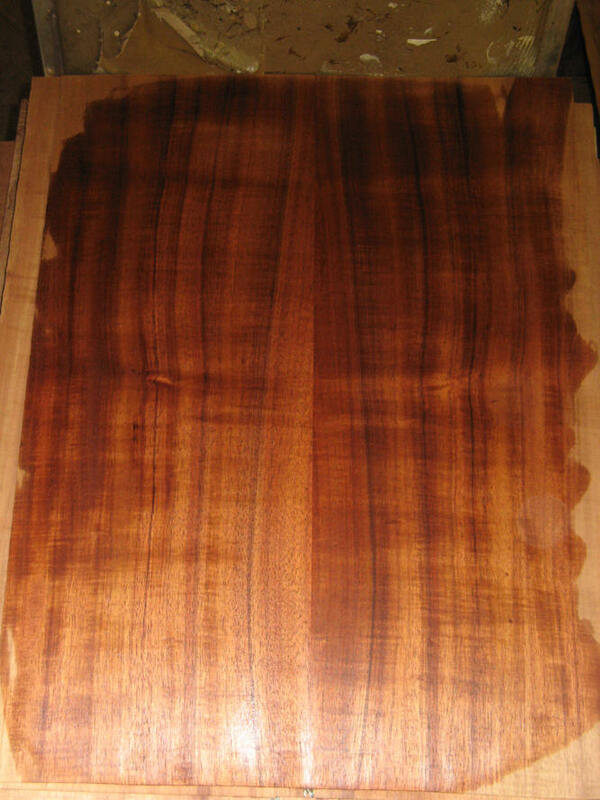 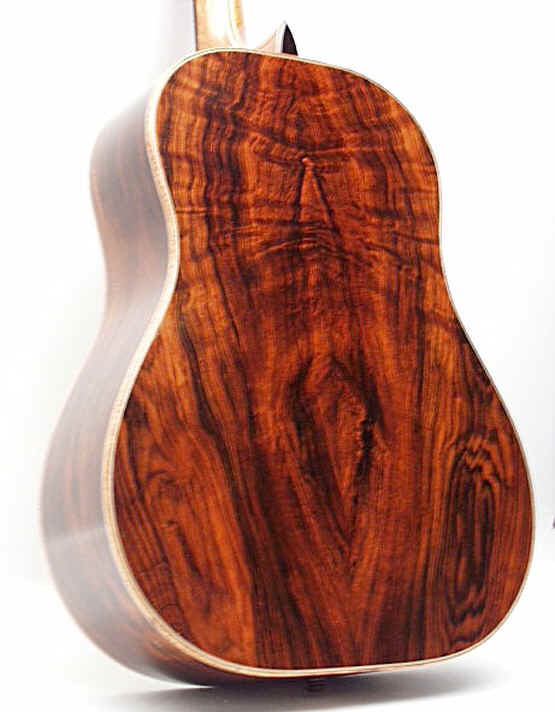 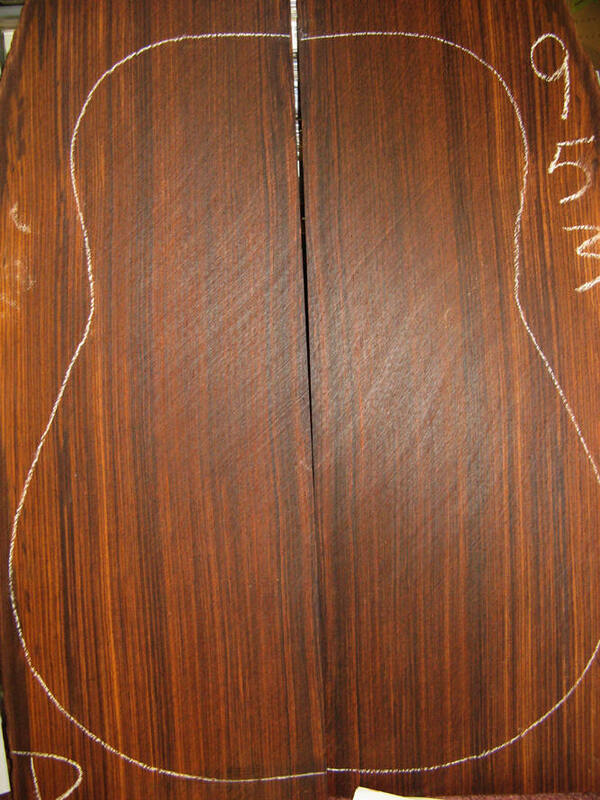 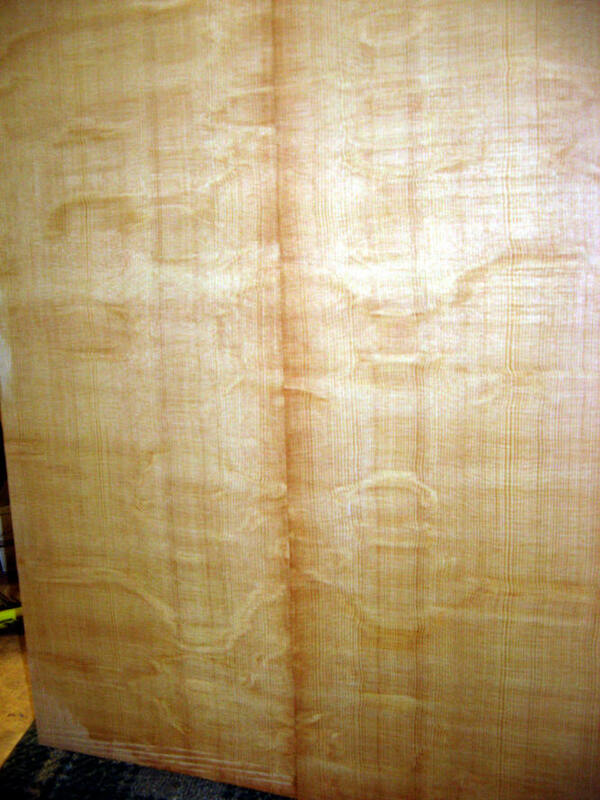 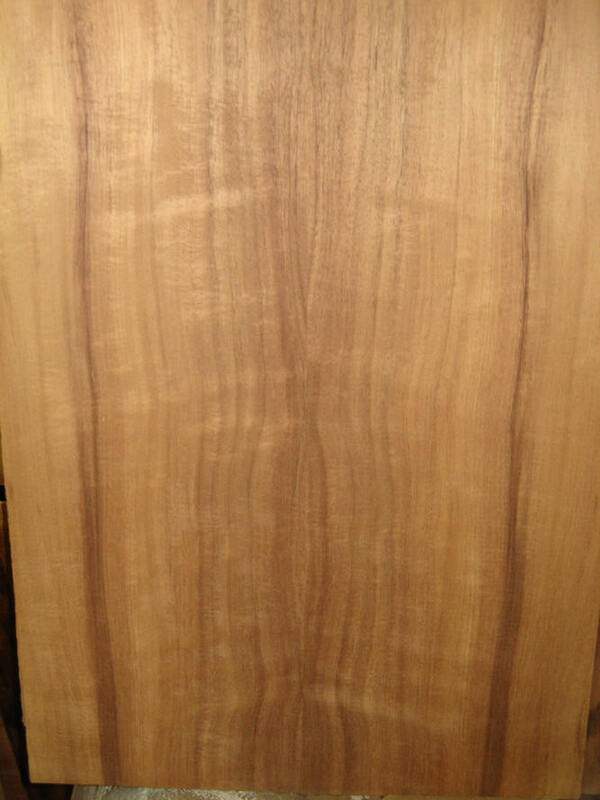 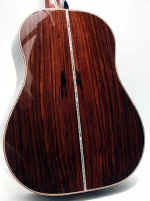 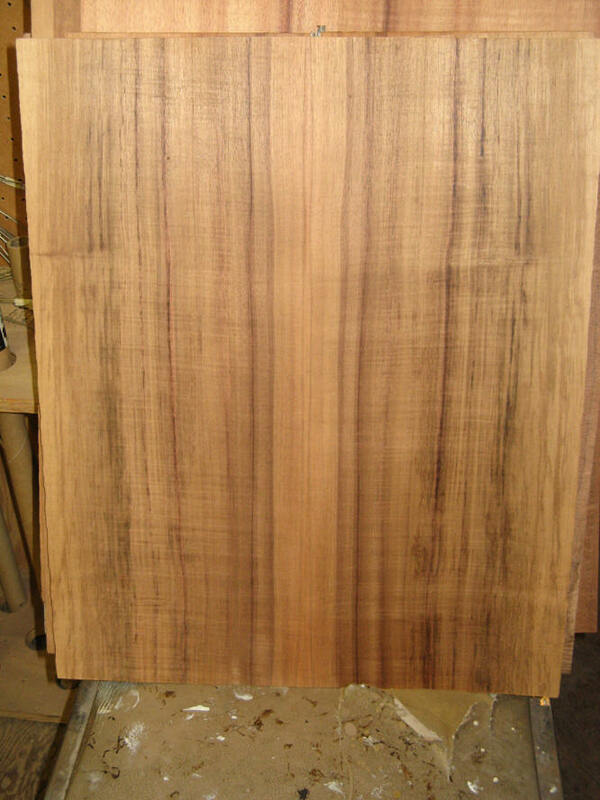 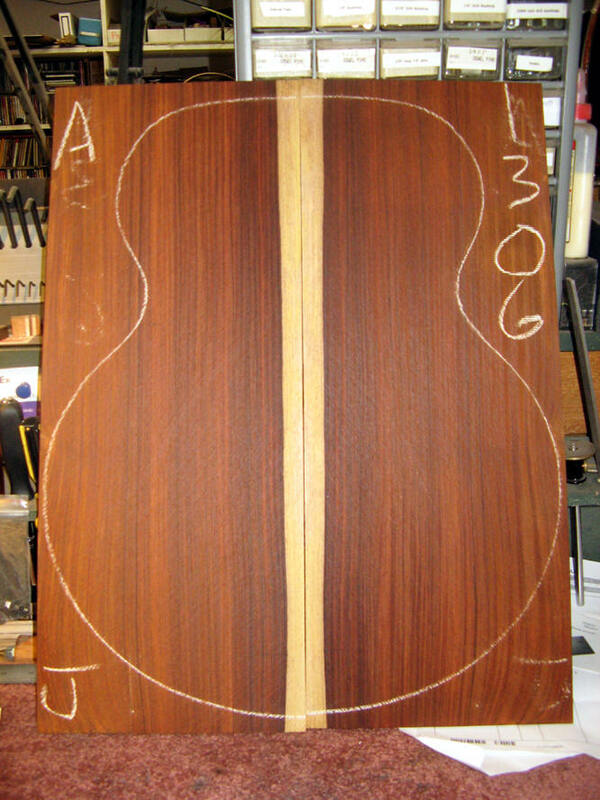 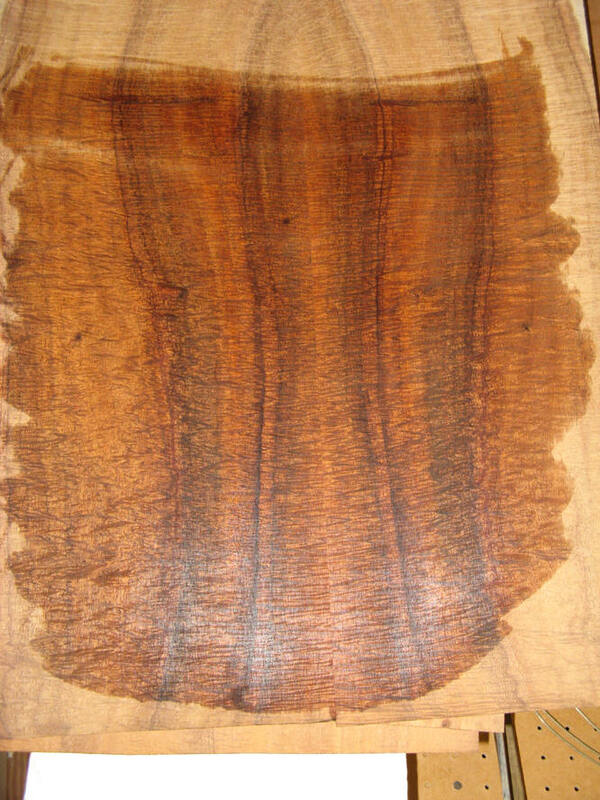 The following shots are of Brazilian Rosewood. 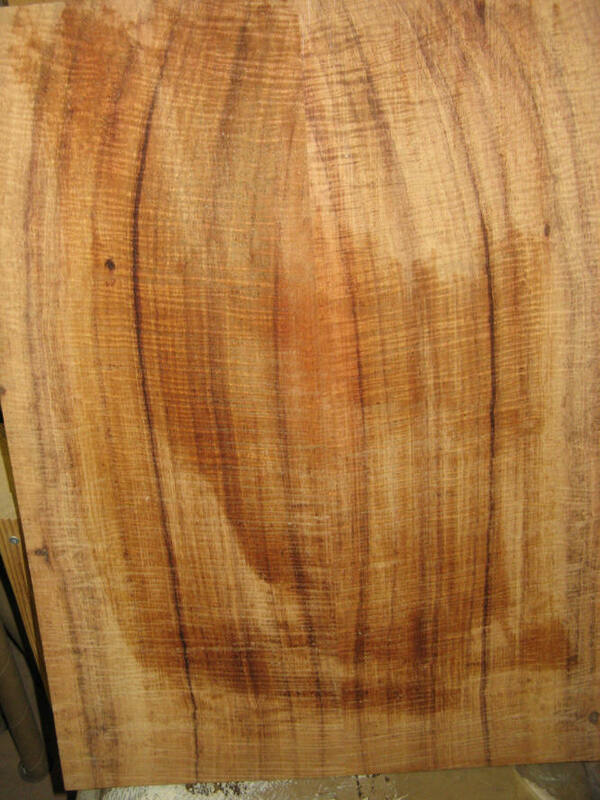 This is the same piece as the photo above.